3.Training and 100 % Placement. 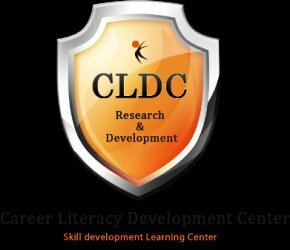 CLDC software training & development organization, focusing on driving the individuals to be technology ori¬ented. The world being based on the technology, we thrive hard to give the corporate feel to the individuals at a younger age to bring them on par with the present trend. CLDC software Java / J2EE Training course will help you to acquire advanced skills on Java Technologies for developing real time applications. Linux-Apache-MySQL-PHP, or LAMP, Web development framework will help you to acquire advanced skills for developing real time applications. CLDC software MATLAB Training course will help “Research and Development Division” for all Ph.D., and M.Phil., research scholars. 1. Individual Systems with required Software Installed. 2. Professional Training Program in above mentioned Technologies and Domain. 3. Separate Class Room Session (2 Hrs per day). 5. Technical Discussion, Group Discussion, Mock Interviews. 6. Training on Project Presentation. 4. Project Guidance by Experienced Developers. CLDC will observe the performance of the students. Candidates who are having good communication and technical skills will give an offer in our organization. Cell: 99521 45599 / 9865889000.